It’s time to break out – it’s time to offer resistence” ...After more than one year in “Isolation”, Enter and Fall are breaking out of their dark dungeon and keep coming back with a drumbeat: their new E.P. 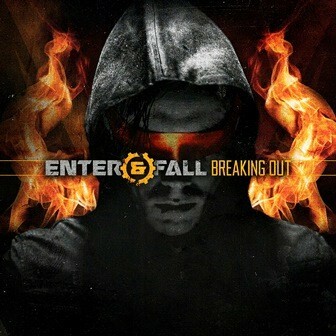 “Beaking out”.With the new E.P., they show again their excellence for powerful Lyrics and deep melodies.With four brand new songs written by mastermind David Goldammer, Enter And Fall will complete their way out of the “Isolation” back into freedom. With the theme song “Breaking out”, they set a sign where the journey does go to. “Break out, raze the walls and run” is the explicit statement of this song. With the following titles “The things you never did”, “Blind” and “All the lost friends” it becomes clear, that the “Breaking out E.P.” is made for the dance floor to dance off all the worries! 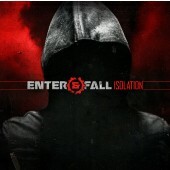 In combination with the interpretation and revision of songs like “Hope (it’s not the end)”, “Isolation” and the club-hits “Aufsicht Ost” and “Lose contol” from great artists like reADJUST, The Eternal Afflict, FGFC820 and Rob Dust, they impressively managed to bridge the fight in their “Isolation” back to life. It’s within reach, how David Goldammer voices all the accumulated feelings from “Isolation” and get it off his chest in “Breaking out”.With the bonus track “The Wild Boys 2015” Enter And Fall come along the wishes of their loyal fans, to publish their interpretation from the Duran Duran hit.This track will more often befall the listenership out of the boxes in the Clubs.Also in the implementation of the Artwork you can find the thematic continuance of “Isolation”. Hand in hand with User.dx, Thomas Liepelt from Paranoid World (paranoid-world.de) managed a perfect graphic crossover from “Isolation” to “Breaking out”. For the design of the Artwork, he could access the artful turned fotographies from Helge Roewer (HR-Picutres.de).The Mastering of “Breaking out” is made by Kolja Trelle of Koltron Music Production and Mastermind of Soman, just like the debut album “Push Enter And Fall Down”.“Breaking out” is an impressive continuance and – at the same time - a completion and break out of the “Isolation”.“Breaking out” is power, energy and impulsion.“Breaking out” will be released on 29.05.2015 at Emmo.biz Records as a limitated DIGIPAC CD an as download on all known download portals.